Britain’s Got Tipsters – The Winners Revealed! Finally, after 3 months and nearly 5000 tips, the winner of the inaugural SBC Britain’s Got Tipsters Horse Racing contest is announced today and it’s a big well done to ‘The Form Analyst’ who has scooped first prize. He wins the award thanks to his record of 51.7 pts profit from 1291 bets at a ROI of 7.60% and crucially – his very strong betting bank growth figure of 103%. It was a tough fight at the finish with 2nd placed ‘Chris Patti’ pushing him very hard in the final week but The Form Analyst was the overall winner based on the combined results from votes cast by SBC members and the judging panel. The great news is that both The Form Analyst and Chris Patti will be tipping exclusively for SBC members via both the Forum and email over coming months. Sign-up for your SBC membership now. Firstly, to briefly recap for that not familiar with it, Britain’s Got Tipsters was our quest to find the best Racing Tipster from a shortlist of 12 that started posting their tips back at the end of June 2015. ‘The Form Analyst’ secured first place based on his high volume approach with around 15 tips advised each day. These were a mixture of win, place and each way bets at average odds of around 7/1. In total he picked up a 51.7 pt profit from 680 points staked over the course of 1291 bets advised. This equated to a ROI of 7.60% and a Return on Capital (ROC) of 103.40%. In terms of monthly performance, each of June, July & August showcased a fine profit from a good range of bets, whilst September has seen a small loss thus far. In general however, The Form Analyst has been very consistent and easy to follow – no doubt a key reason why he was so popular with the voters. The runner-up prize was scooped by statistician, Chris Patti who really impressed members and judges alike with his excellent performance over the course of the contest. Advising bets at Betfair SP, Chris made a profit of 61.5 pts profit from 133 bets over the course of the 3 month competition with a series of winners at value prices. This equated to an outstanding ROI of 46.24% and a Return on Capital of around 34.17% bank growth. Over the course of the contest, Chris made a significant profit from each of the 3 main months in July, August and September with an average of around 1-2 tips advised each day. We are also delighted to announce that you can also continually follow Chris as a Smart Betting Club member with all tips from early October onwards to be made available via the SBC Forum and Email. A very honorable mention is due for the third placed contestant, Josh, who despite a bad run in September, did still post a profit of 13.8 pts at a ROI of 17.47% from 76 bets advised. Josh certainly doesn’t take the easy route to betting profits with his average priced tip just under 10/1, making him vulnerable to the occasional losing run. As he has a fairly selective tipping approach – an average of 25 per month, he also needs a much longer period than just 3 months to showcase his skills. Mindful of this, Josh has agreed to continue to post ALL of his tips on the SBC Forum for the foreseeable future so we can monitor his performance over a more relevant period of time. A big thank-you must also go to the other tipsters that finished between 4th and 7th place in the contest. Not only did they take the time to post their tips for the full 3 month period, but a number showcased good potential that hasn’t as yet translated into results. In-particular we are quite keen to see how the 4th placed tipster, Rayjon fares in the future as he eked out a small profit from laying at Betfair SP over the course of 2384 bets. It wouldn’t take much of an increase in profits to make his approach viable and we are really pleased that he too has agreed to continue posting on the forum for members to follow. Laying is hard – especially at Betfair SP so to breakeven is quite an achievement in itself. The Black Knight, Into The Black & Coranmc finished in 5th, 6th & 7th place respectively with performance records as below. Although none of the 3 have posted an overall profit, we are fully aware that this can all change over a longer period and are pleased that both The Black Knight and Coranmc have agreed to post their tips for free on the SBC Forum long-term. The Britain’s Got Tipsters contest was a big success with the discovery of a number of hither-to-known tipsters of real quality over the past 3 months. This is just the start however with 6 of the 7 contestants already committing to continue sharing their tips via the SBC Forum so we can build up a much bigger base of results to work from. The top two tipsters – The Form Analyst & Chris will also be supplying their tips free via email for those keen to follow them in each day. Both of them are taking a short, well deserved break but Chris will return on the 7th October and The Form Analyst on the 12th October to continue sharing their best tips. Sign-up today to follow these tips FREE as part of your Smart Betting Club Membership. Although we are all interested in betting to make money….one of the key lessons every punter has to learn at some point is exactly how to lose money. With such easy access to quality tipsters these days (especially those in the SBC Hall of Fame) one of the key tests for punters keen to make money betting, lies in their ability to win the psychological betting battle. And the biggest test of this often comes in handling losers…especially when these losses arrive in close succession. After all, the winning side of the game is fairly easy. Bet wins, you get paid. End of. But when it comes to losses and the occasional bad losing runs, well that is when it can get trickier. It is absolutely essential that when assessing any tipster service you understand from the get-go just what the worst case scenario might well be if following them. Too many tipsters (and I shall also say here OTHER tipster review sites) simply focus on the positives in their reviews. How much you could have made. Why you need to follow them etc..
All of which can ultimately hide away some of the at times painful realities of following some tipsters. Effectively – This is the psychological battle we have to win. Don’t Be Confounded By Compounding! To help explain this scenario at play, let me take a classic example as first published in the latest SBC magazine (Issue 94) and our review of a very promising tipping service. On the outside looking in, this tipster has a very profitable record, having made 164.5% bank growth over the past 12 months (effectively doubling your money) from 611 proofed bets to their advised betting bank. They have a highly unique approach as they focus at the front-end of the betting market and short-priced tips. By doing so they achieve a very high strike rate of 81.7% so more than 4 out of 5 bets go on to win. With such a high strike-rate, this opens up the potential of what is often termed ‘compound staking’ or ‘compounding’. Compounding is a popular and easy staking method where you simply risk 10% of your betting bank on each and every bet. The logic is simple – as your bank grows, so should your staking and your profits. Any losers you get (roughly 1 in 5 given the strike-rate in this instance) will be easily swallowed up. It is often touted as a great way of making big strides from your betting – sometimes far in advance of level staking. Well that is the theory at least. Yet the practical reality is not always that simple as the stats as taken from our review will help to reveal. Let’s consider you have followed this tipster since it began on the 24th September, investing £1000 initially via a 10% compounding staking method. After a great run from the first 400 bets, you have turned this initial £1000 into £5773.34 – a profit of £4,773.34 as of the 19th April 2015. But then disaster strikes…the service then starts to hit a losing run and before you know it – what was £5,733.34 has been reduced to £2,301.01!! Still a fine profit on your initial £1000 starting point but what a rough run – losing £3472 in the space of just a few months. My experience tells me that in this scenario most punters would not cope unless they were fully prepared for this loss and were running this compounding bank as a high risk option. Most would walk away, throw in the towel and give up. Battle lost. The far more sensible and mild-mannered approach is to simply place the same level stakes bet and grow your bank more organically. Basically putting the same amount on each bet as per the level staking plan. So whilst you won’t get the highs of a potential huge profit (at great risk) you would actually have made more money this way as the table below reveals. In fact you would have ultimately made a much higher profit via level stakes AND also staked a heck of a lot less! The graph below as taken from SBC 94, showcases just how large those swings would have been if compounding versus those at level staking. Its fair to say – compounding is a veritable rollercoaster ride! This is just one brief example of why looking at a tipster from all angles and not simply the profits on show is so critical. In fact, you need to look at the worst case scenarios to ensure you are fully prepared for what we may come in the future. As a punter you also need to be realistic with your staking. The old financial investing mantra applies to betting just as it does to stocks and shares or house buying. High rewards come at high risks! If the service features above interests you or our analysis on compounding then do check out the full review in SBC 94. Although we do not recommend the 10% compounding bank some others do, we recommend a different approach that might well heighten your profits but significantly reduce the risks. Equally if you are after more advice on winning the psychological betting battle, you might be interested in our special report ‘How To Adopt The Mindset Of A Pro-Gambler‘ which is available to all SBC members. Sign up now and gain instant access. We may be heading into the chill of autumn and winter but with last week’s release of the latest SBC Betting Magazine, we’ve got loads to warm the cockles of your punting hearts…and fill your pockets with bookmakers money! Inside SBC 94 we put three outstanding new tipsters under the microscope, and discovered a trio of experts with a proven and profitable edge over the bookmakers (more on them shortly). We also have an invaluable article on the use of VPNs and how they are can help maximise your betting profits, plus a fantastic insight from a pro punter on how he gets the most out of backing horses on the exchanges. In this exclusive review, we put a tipster who lives and breathes National Hunt racing through his paces. This guru has hit the remarkable heights of a 35.8% Return on Investment since he started his tipping service 3 years and 670 bets ago! What’s more, this chap is refining his tipping skills and expertise all the time, and putting more money into his customer’s pockets in the process. Last season alone, he produced a magical45.9 points profit at an ROI of 58%!!! This tipster puts so much into the National Hunt season that he takes the summer months off, recharging his batteries in readiness for the jumps calendar. So if interested in what he has to offer NOW is the time to sign up. That’s 106.6 points profit from these 3 months alone, which tells us that once this tipster has allowed the early season form to settle and he’s ready to pull on his betting boots, then it pays big to follow him in. By joining the SBC today, you can claim your copy of our review and gain instant access to an exclusive 12.5% SBC-member-only discount on this amazing winter jumps service. Here at the Smart Betting Club we make sure that we analyse and review services that embrace different strategies and methods to make a profit. This means we identify tipsters suitable for everyone, from the full time gambler through to those who live busy lives and have little spare time. If you don’t want to spend hours in front of your laptop waiting for tips, then the second racing tipster reviewed in SBC 94 will suit you down to the ground. This is because this tipster sends just one email, each evening before racing, with details of one or two profitable bets for you to follow. 331.8 points profit from 713 proofed bets. ROI of 37.5% over the last 17 months. 255% betting bank growth over the last year alone. 15 profitable months from 17. Now we know that following a tipster isn’t always that easy (although this one is as about as easy as it gets), but what if you only use the betting exchanges for your horse racing? Can you still make a profit? Well, we commissioned one of our people to see what can be done, and in Issue 94 you can read his findings. His in depth report highlights the simple strategies and plans that resulted in him banking strong profits from Betfair whilst following this service. All of which combined helps us breakdown this tipster and provide real life experiences of those making money from it and how they do it. Not only that, but with an SBC membership, you can secure a 60 day free trial membership to this amazing service! Nobody likes losing runs. It’s much nicer visiting the ‘Pay Out’ window, and in SBC 94 we have just the ticket for those who want to back a lot more winners than losers! “You can’t make money from backing at short prices”, is something I hear regularly from so called betting experts and its not true. This is because by looking under the bonnet of the hundreds of tipsters we’ve reviewed over the years, we can say with some confidence that it’s not the price that’s important, it’s the value. And so it was with considerable interest we analysed this multi-sports betting service which specialises in finding bankers. You may be backing at short odds – the average is just 1.26 – but if 81% of your bets are winning, you’re making a very nice profit indeed! In fact, you’re making such a nice profit that you’re more than doubling your bank in just 6 months! But it’s not just a case of backing a load of winners. How easy it is to get the advised prices, from real-time odds testing. 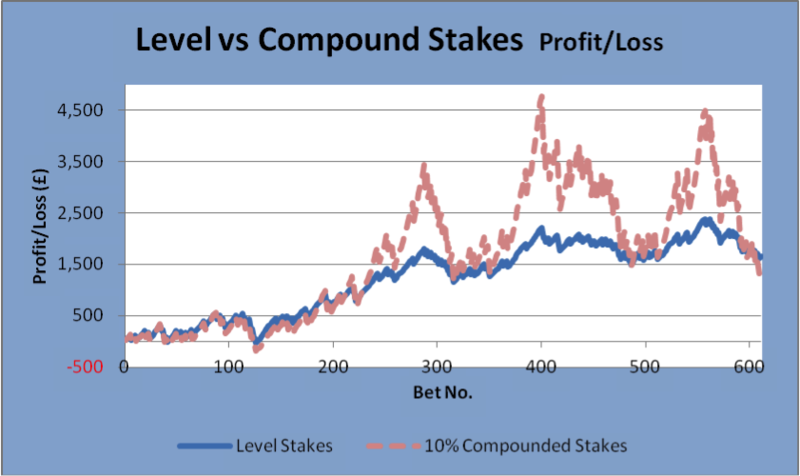 The pros and cons of using a compounding staking system, and how it compares to betting level stakes. A full analysis that tells you the safe and optimum bank size for following. A breakdown of exactly who the service will suit best – is this service right for you? How to secure a free trial (again exclusive to SBC members) so you can test out the service for yourself. You can read full details on the above in the very latest SBC magazine (Issue 94) which is available to download the instant you sign up for a Smart Betting Club membership. As a member you will also have access to the entire back catalogue containing hundreds of reviews, interviews, betting strategies, and savings/discounts. In other words, plenty to bash the bookies with! Not only this, but with a Gold or Platinum subscription you will also have peace of mind from our Money Back Guarantee if not satisfied! You therefore can join risk free, with absolutely nothing to lose. 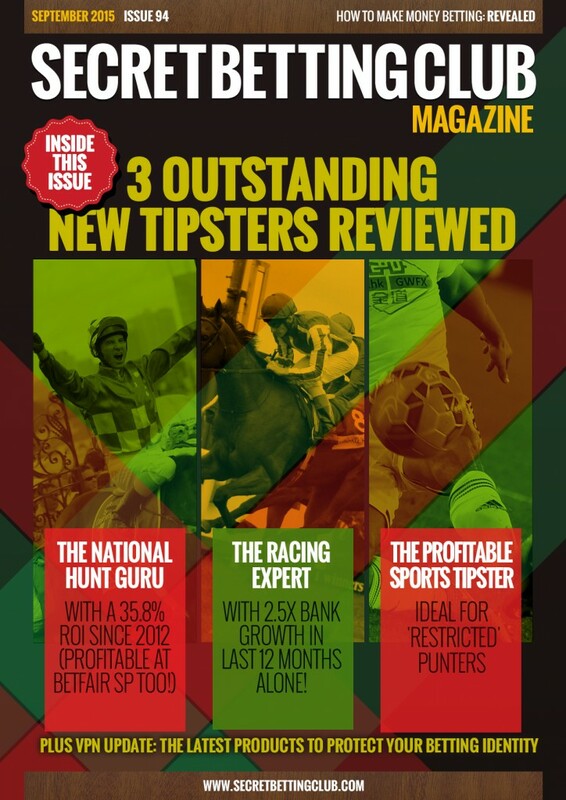 …And for those of you keen to sample what they offer, 2 of the tipsters reviewed inside Issue 94 are now offering SBC Members only 2 exclusive FREE TRIAL periods. The first free trial comes courtesy of this profitable multi-sport tipster (Tennis, Football & American Football) who has achieved around 200% betting bank growth in the last year alone. With the advised odds proving very easy to obtain as they are at the front end of the market (as we discovered when performing some detailed odds tracking), it is an ideal service for those of you impacted by account restrictions. As part of a special deal for SBC Members ONLY, this tipster is offering a totally free trial to all who want one – which will run until the 1st November. Ensuring the sooner you sign-up, the longer your free trial will be! The second must-have free trial is being offered by a very successful racing tipster who has amassed a 331 pt profit at a frankly ridiculously good ROI of 37.5% over 713 proofed bets since April last year. This is a remarkably consistent service with 15 winning months out of the last 17 and an outstanding track record to date. They too are offering a free trial EXCLUSIVE to SBC members, which is an anytime 60 day trial, which you can take up at any point during your SBC subscription. If you are interested in either of these trials, you can gain instant access to them both as a Smart Betting Club member. Simply subscribe now, download Issue 94 and follow our hidden members-only links to get going! Sign-up now and gain instant access to the Smart Betting Club service. These are not the only free trials available to you as an SBC member as there are a whole host of other special trials, free tips and discounts on offer at any given moment in time. For example, you can enjoy a 2 week free trial at anytime with the Gold award winning tipster ‘Northern Monkey Punter’ or 25% off any Bet Advisor service. Find out more on these hidden benefits of being an SBC member. Discover the latest on the best tipsters to help you make money from your betting! 3 Outstanding New Tipsters Reviewed Including…. 3. The Racing Expert with 2.5 X Betting Bank Growth in the last 12 months alone. PLUS Our VPN Update on the latest software to help protect your betting identity. Best of all, each of the reviews inside SBC 94 is 100% independent so you can be sure that when we say a tipster is good, it is because it genuinely is (and not because someone is paying us to say so!). This is what separates us from ALL other tipster review services who rely on generating sales for the tipsters they review in order to make money. Instead we charge you as a member a low annual fee and in turn you can expect fully independent and punter friendly reviews. All of which is why for the past 9 years we have been firmly established as the leading tipster review service on the Internet. The instant you join the Smart Betting Club, you will be able to download Issue 94 and discover the latest on the very best tipsters under our review microscope. Not only this but an SBC membership also provides access to a whole load more expert reviews, strategies and interviews via the many other magazines & reports we have published in our 9 years operating the Smart Betting Club. There is a huge back catalogue of expert betting reports for you to enjoy! If taking up either a Gold or Platinum subscription you can also enjoy the peace of mind of our Money Back Guarantee if not satisfied once joining! Ensuring you can sign-up totally risk-free, with everything to gain and nothing to lose. Did you know that as a Smart Betting Club subscriber you can follow all kinds of top performing tipsters via our members only forum? If not, well it’s a great way of getting started making money from your betting as you can follow all of these forum based tipsters everyday for free as part of your risk-free SBC membership. In fact so good have some of these tipsters been lately that they have been outperforming many paid-for services and making SBC members some fantastic profits. Leading the charge on the winners front is top tipster, Jason James who is not only tipping exclusively on our forum but as an SBC member you can also sign-up (free) to receive his tips via email. On Saturday, Jason had a day to remember with winners at 18/1, 12/1 & 10/3 to build on his ongoing profit tally which since he began posting tips on our forum stands at 20.35% ROI from 230 bets. Longer-term, Jason has made a profit of 590.5 pts at a ROI of 15.39% from over 1600 bets and is fast becoming a must-follow tipster for many SBC members! Hot on the forum right now is the very high volume tipster ‘Statmaster’ who came to us recently with a tremendous (and verified) profit of 161 pts (27% ROI) from his first 535 bets. Already this strong form has continued with an extra 42.83 pts from an additional 170 bets at 25.19% and he continues to impress. Chris is one of the top tipsters taking part in our Britain’s Got Tipsters contest where we are on the hunt for the best as yet undiscovered racing tipster. From his first 109 bets, Chris has bagged a string of big winners and currently sits on a profit of +50.7 pts at a mind-boggling ROI of 46.5% – making him a real candidate to scoop the overall ‘top tipster’ award. Another top performer from the Britain’s Got Tipsters contest is The Form Analyst who’s busy tipping approach has reaped dividends with a 64.6 pt profit at 10.73% ROI from 1165 bets so far. With several tips each day, his tipping style lends itself very neatly to those looking for good betting turnover and bank growth potential. European football tipster Mrki has also developed quite a following thanks to the success of his forum tips, which for the 2015/16 season have already picked up a profit of 3359.5 pts at a ROI of 9.94%. This is all based on Asian Handicap bets across competitions like the Europa League and Champions League. It is not just these 5 either as at any given moment in time there are dozens of profit-making tipsters posting on the SBC Forum for you to check-out. So if you are looking to get started betting with tipsters and don’t want to splash the cash on expensive subscriptions, why not consider following some of these free tipsters as part of your Smart Betting Club membership. Best of all, you can now sign-up totally risk-free thanks to our money back guarantee, which ensures if you find our service (and these free tipsters) not for you, then you can get a full refund. Meaning you have everything to gain and nothing to lose from joining our exclusive club! 4 Do’s and Don’ts Of Successful Punting! Just like most things in life, your first steps when trying to make serious money from your betting can sometimes be the hardest. Which tipsters should you follow? How much should you stake on each bet? When should you take a profit? How should you handle bad runs? And whilst we can certainly help you answer all of these questions as an SBC member, sometimes there is just really nothing better than actually following someone else doing it themselves for real. Which is where our betting blogger and columnist, Rowan Day comes in – thanks to his real-life betting reports and blog that detail his exact tipster portfolio and just how much money he is making(and indeed sometimes losing – after all betting is not always about counting your winnings, it’s about the overall profit you make). Rowan started betting seriously for profit around 4 years ago with the simple goal of making some extra cash to pay the bills and enjoy a couple of nice holidays for his family. He joined us here at the Smart Betting Club, started following a number of our Hall of Fame recommended tipsters and since then has never look back. A career writing about his betting experiences then blossomed and since November 2013, he has been penning regular ‘Practical Punter Reports’ for SBC members. They highlight some of the real live issues involved in following a range of tipster services to make good profit. So popular did they prove that earlier this year, Rowan also started writing a more regular ‘Bet Diary’ on the SBC website to go into this in more detail. After all, it’s one thing finding the best tipsters (which is where we come in) but there is simply no substitute to listening to those who have turned the theory into practice. The Do’s and Don’ts Of Successful Betting. To help you sample a little bit of what Rowan provides to members via his real-life betting articles and blog, we have copied below a few of his Do’s and Don’ts of getting a successful betting operation off to the very best start (as taken from his latest Practical Punter Report). DO prepare yourself mentally for the path ahead. The better prepared you are mentally, then the easier you will find running a betting portfolio from a psychological point of view. Make sure you read all the guides that the Smart Betting Club have available for download on the website, especially the ‘Betting X Factor‘ report from February 2015 (available via the Betting Magazines members section). Engage with people you know have experience and who can provide guidance on social media or via email. Open communication with the tipsters you intend following – they’re a nice bunch, honest! More to the point, you’ll find that they can often help you keep your feet on the ground during their good spells and keep you from too much navel-gazing through the bad. And share your experiences with others who are trying to do the same as you. All of this will help you to cope mentally with the trials and tribulations that lie ahead. I actually started to write a blog about my experiences, inspired by some of the email conversations I had enjoyed with some of the tipsters I followed. You get to see things from a different perspective and it is always good to avoid being too egocentric when it comes to your betting. If you’re ready mentally, you’re more than half way to being successful before you even start. DO focus on the money. What I mean by this is that profitable gambling isn’t an exercise in finding thrills and spills. Indeed, I know one or two professional gamblers who describe what they do as “grinding” out bets. I don’t know about you, but the word “grind” doesn’t suggest that they’re looking for excitement and massive highs from their betting. Sure, it’s nice to back a big priced winner at a Festival like Cheltenham, and you wouldn’t be human if you didn’t get a buzz out of that. But on a day to day basis, you should be focusing on the end result of what you do, which is making money. Watching every race you bet in, or following every goal in every match you have a financial interest in, is a short cut to the mad house. You need to be maintaining a healthy mental equilibrium, not be searching out adrenalin rushes. Gone are the days I used to use my Flashscores app on my mobile to tell me how my bets are getting on. Try spending quality time with the kids when your phone beeps to tell you that Dunfermline are down to 10 men and have just conceded a 95th minute goal, scuppering your 3/1 winner! DON’T spend a lot on tipster subscription fees at the start. Look upon your new betting career in the same way you would if you were starting a new business. You want to keep your overheads as low as possible, and then consider reinvesting some money to develop your business, once you’ve actually made some cash. And besides, there’s no need to. There’s some excellent free tipsters out there, plus others who charge very little and represent remarkable value for money. Find them, and use them. Make some money, and then consider joining the more expensive services in the market using some of the profit you’ve made. DON’T over analyse and make damaging changes in the way you do things. It’s massively important to have “down” time when you can relax, forget about getting prices, forget about the chances of missing emails, forget about figures and how you can improve performance, etc., etc. I found this the hardest aspect of all when it came to betting by following a portfolio of tipsters. My mind would be constantly whirring and the problem is, when betting performance takes a quite normal turn for the worse – as it inevitably will from time to time – and your brain is trying to find solutions for what really aren’t problems, then it will. But these “solutions” are frequently counter-productive, for they force you into making changes that you should definitely not be making. You will find yourself dropping a tipster just before he goes on a great run, changing your staking so that the recovery takes longer than it should, or making yourself miserable when there really is no need to be. I’m not saying you should never make changes or alter things, but they need to be made little by little. It’s a good idea to set a date when you sit down to assess how things are going. I tend to do so twice a year; at the beginning of January and then six months later in June. Settle on your tipsters. Settle on your staking. And then go with the flow. Don’t overanalyse, don’t tinker, don’t fret. Chill out, have trust in your initial work in setting up your portfolio, and then go with the flow. The long term results will benefit if you do. You can find six more invaluable successful betting Do’s and Don’ts to both save and make you money in the latest Practical Punter Report from Rowan. This and the full back catalogue of ‘Practical Punters’ (18 in total) are available with an SBC membership. SBC members can also read the week by week progress of Rowan’s tipster betting portfolio via his regular ‘Bet Diary’ posts. Here you can read all about the latest betting issues and how he gets the most out of his tipsters, all of which have been reviewed and recommended by us. The ‘Bet Diary’ is also a great place to interact and ask questions, so you can find out all you need to know about how to make money following tipsters. Gain instant access now with a Smart Betting Club membership. Why VPN’s Are A Profitable Punters Best Friend! One of the issues of being a successful punter these days is that if too good you can find your bookmaker account closed down for winning too much. Yet, how is it the bookie can so quickly identify you as a threat and what can you do to help avoid detection and make sure you can continue to profit long term? Well one solution comes in the form of a simple piece of technology called VPN’s or Virtual Private Networks which are very easy to use and fast becoming an absolute must for serious punters. If you make money from your betting, they will be watching you very closely indeed! FACT: If you can throw a bookmaker off your scent and hide your ‘online footprint’, then the easier it will be to bet with them long-term. It is very easy to cover your online tracks. You just need to know how. FACT: If you wish to open a new bookmaker account, you can often find it closed due to links to past accounts which were deemed ‘unprofitable’. A Virtual Private Network (VPN) will help you – they are easy to use and can prevent links to past accounts in an instant. If any of these 3 facts resonate with you then here at the Smart Betting Club we can help. Just yesterday we released a special update on the topic of VPN’s, which when combined with our collection of articles on the subject of beating the bookmakers can help you avoid prying eyes once and for all! A Virtual Private Network (VPN) is an incredibly powerful tool. It allows you to use a different IP address to the one you have at home or via your mobile device. It is your ‘normal’ IP address that the bookmakers will be using to build up their profile of you. Why do we need a VPN? A VPN is very useful as it creates a safe and secure network. If you are concerned about your online privacy, connecting to a VPN is the smart thing to do! When it comes to betting, the VPN is a godsend! It will effectively make it much harder for the bookies to profile you. And the harder this is for them, the longer you will be able to keep your bookie accounts open and viable, even though you’re making money. OK, so I need a VPN. But I’m not the best at I.T. – are they easy to use? Seriously, it’s extremely simple to install and use a VPN. So simple in fact, that you could be using one within two minutes of reading this article. Will A VPN help me bet with a bookmaker who has closed or restricted my account? If a bookmaker has closed your account down for being too successful yet someone else from your household or using the same internet connection wants to bet with them, a VPN can help achieve this. Simply ensure you use the VPN at all times and follow our tech experts advice (all of which can be found in our series of articles on bookmakers) to achieve this. one (even if it’s a totally different person using it!) and that too will be off limits before you know it. The SBC and VPNs – how we can help you make money from your betting.The secret is knowing which VPN to use. There are increasing numbers of VPNs on offer now, and as with anything, some are better than others. There are free ones, cheap ones, and expensive ones! And they can all do slightly different things. But worry not. We have put together a full compendium of articles purely on the subject of VPNs, keeping underneath the bookmaker’s radar, and ensuring your accounts stay open for as long as possible, meaning you can continue to make great profits from your betting. We can show you how easy it is to get a VPN up and running, which VPNs do what, how much different VPNs cost and the advantages or disadvantages of each. Why a VPN is an essential tool in your betting armoury. The popular Free VPN that is no longer fit for purpose. The first-in-class VPN and a first hand user’s experience. The solution if using a smartphone to place bets. Plus…an easy reference comparison table highlighting the pros and cons of each VPN.Here at the Smart Betting Club we are dedicated to making sure our members have all they need to make lasting profits from their betting. As a member, you will also have full access to our collection of articles on VPN’s (including yesterday’s update) on everything about staying under the bookmaker radar. To put your betting on a professional level, sign-up for a Smart Betting Club membership now and gain instant access.